Then of course you have traditional bride and groom. Now a days they have a more comedic view of the bride and groom. Bride dragging the groom by the foot, bride feeding cake to the groom, even bride straddling the groom for a big kiss. They got everything! But of course they still have the more traditional bride and groom arm in arm, dancing, kissing, groom carrying bride over threshold, etc. 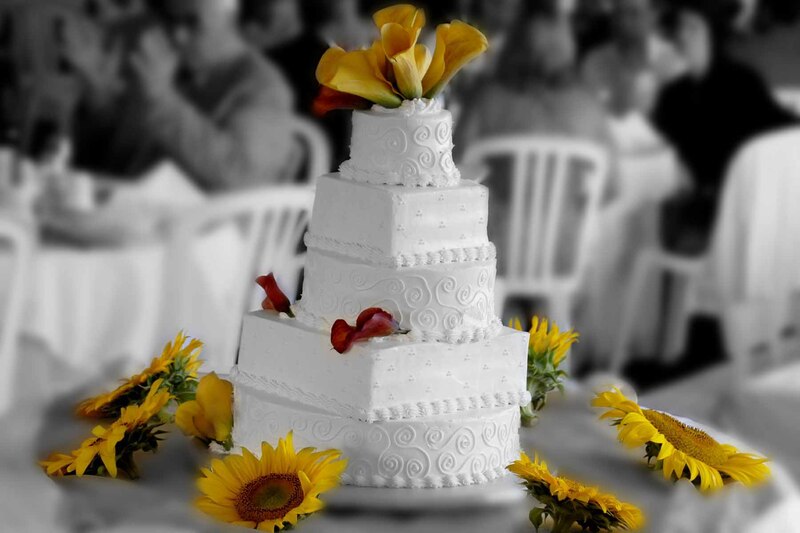 So you can see you have many choices the top of your cake, but you want to make sure that you have an idea of what your cake is going to look like before purchasing the topper. And if you want your topper to last, don�t buy something cheap that could easily break. Keep in mind that you are wanting something that will last a lifetime! Oh and make sure you share your cake topper wishes with your significant other as you want them to be on the same page as you. Now that you've found your cake topper you may want to take a look at your wedding checklist to see what's next!